Lately it seems like many of our clients have been coming in to College Station Ford and asking for help with their car’s AC system. We wanted to put out this practical article to help our customers better understand how to take care of and notice common air conditioning issues. Whether your car has an AC emergency, or you just need some routine maintenance, College Station Ford’s expertly trained mechanics are here to help. Don’t stay uncomfortable in that roasting heat! Let College Station Ford get that air conditioning system back in time for your summer travels. If you’re interested in maintaining your vehicle’s air conditioning system, make sure you turn the AC on at least once every other week. Most mechanical systems will break down if they aren’t regularly tested. Running the system can prevent problems associated with lack of use. When you’re talking to your mechanic, try to ensure that the AC is tested and maintained before the hottest months. The hot climate can have an adverse effect on your vehicle’s air conditioning performance. Some symptoms of a broken AC are unusual noises coming from the air ducts, air coming in at a different temperature than you selected on your controls, weak air pressure, or even unexplained strange smells. If you’ve noticed one or more of these symptoms in your vehicle, be sure to write them down and inform your mechanic when you take it in for servicing and maintenance at College Station Ford. The most common problem with vehicle air conditioning systems is a lack of refrigerant. This absence of refrigerant is typically caused by a leak within the AC system. The pipes and valves that comprise the air conditioner can develop gaps between connections overtime. Otherwise, the mechanical components like the compressor and evaporator can also break due to everyday wear and tear. Here at College Station Ford, we are always focused on service to our clients because we want to develop a long term relationship. You should look for integrity, transparency, and quality customer service from any automotive mechanic you encounter. Look for a service provider who is willing to take the time to explain the repair cost of your vehicle’s heating and cooling system without any fuss. At College Station Ford, we are able to handle difficult unit installations, and unit repairs from top AC manufacturers. If you live near College Station, including Bryan, Huntsville, Waco, and Caldwell, you need to give us a call. 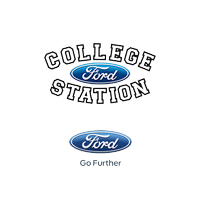 If your air conditioning needs a fix before the weather changes, don’t wait to contact College Station Ford. Don’t waste time with mechanics who won’t do the job right the first time; take advantage of our expert dealer technicians.